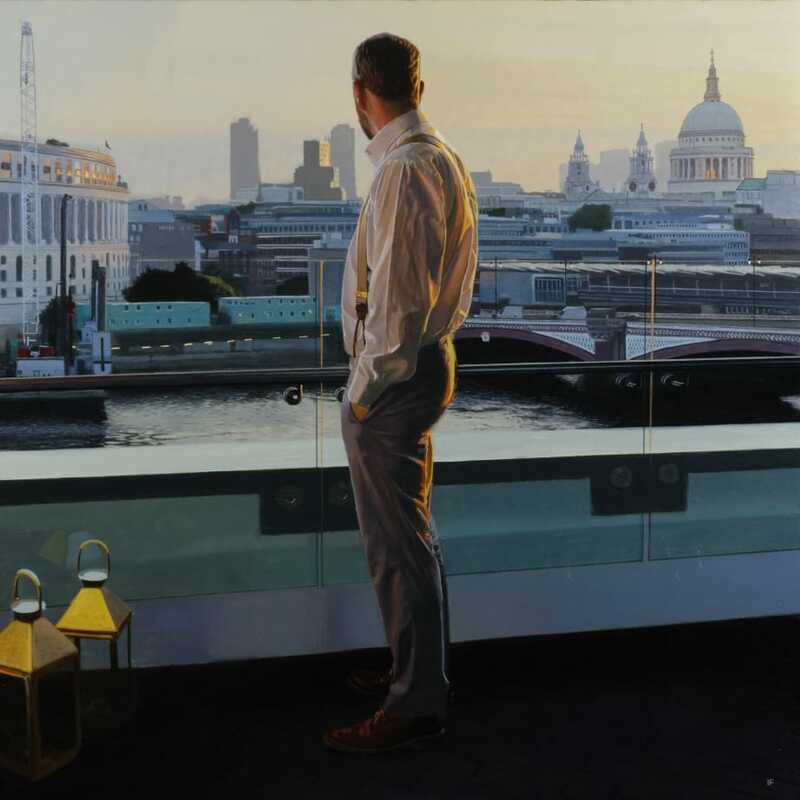 The Albemarle is proud to present an exhibition of new works by renowned Scottish artist Iain Faulkner at Pontone Gallery, London, from 8 November - 8 December 2019. An artist with a long association with the Albemarle Gallery, Faulkner's work captures moments of withdrawal and consolidation, where the subject turns inward in reflection, pre-occupation or self-absorption. His works are certainly romantic; they conjure ideas of modern-day, male heroes. Solitary and brooding, these figures suggest alienation, but also speak of autonomy and resilience. Coupled with skilful draughtsmanship and a masterful handling of light and shade, Faulkner curates a distinctive atmosphere that inhabits his paintings, drawing us in to the intimate world of his protagonist, a player both familiar and universal.